In 1895 Southland’s Williamina (Minnie) Dean became the first – and only – woman to be hanged in New Zealand. Her story exposed the stark realities of paid childcare and the lack of choice for many women in this period. Since the late 1880s Dean had looked after children for a fee at her Winton home, The Larches. 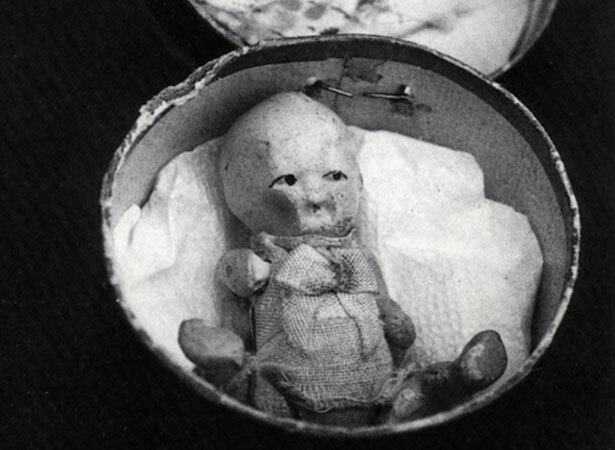 In 1889 a six-month-old infant in her care died, and two years later, a six-week-old baby. An inquest concluded that children at The Larches were well cared for, but that the premises were inadequate. Police, concerned about Dean’s activities, began watching her closely. On 2 May 1895, after she arrived home with only a heavy hatbox and without the child who had earlier been seen in her care, police searched her garden and unearthed the bodies of babies Dorothy Carter and Eva Hornsby, and the skeleton of a four-year-old boy. Minnie Dean went on trial for Carter’s murder in Invercargill on 18 June. Although her defence claimed the baby’s death had been an accident, she was found guilty of murder and hanged at Invercargill gaol a few months later. We have 4 biographies, 7 articles, related to Winton baby-farmer Minnie Dean hanged .